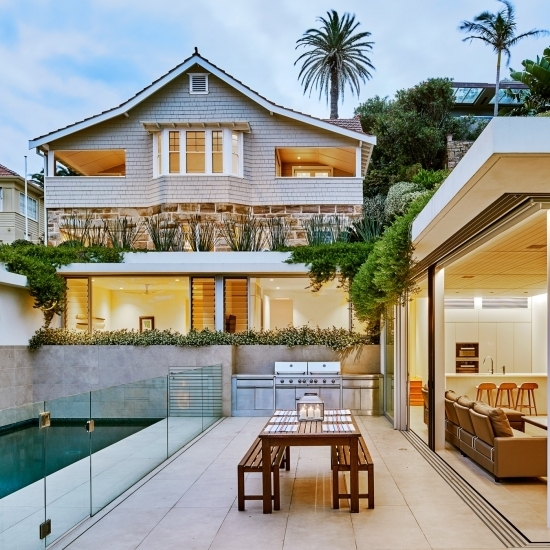 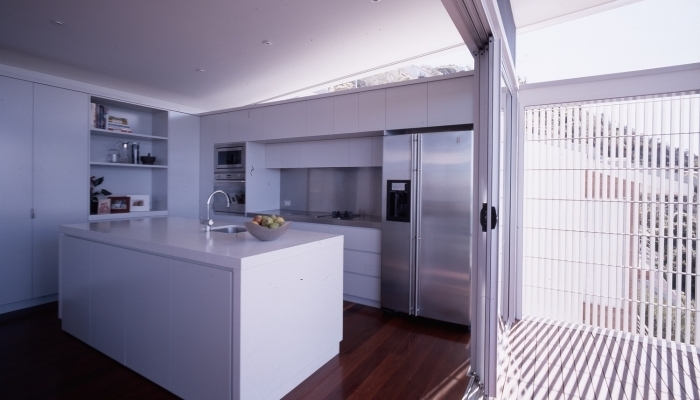 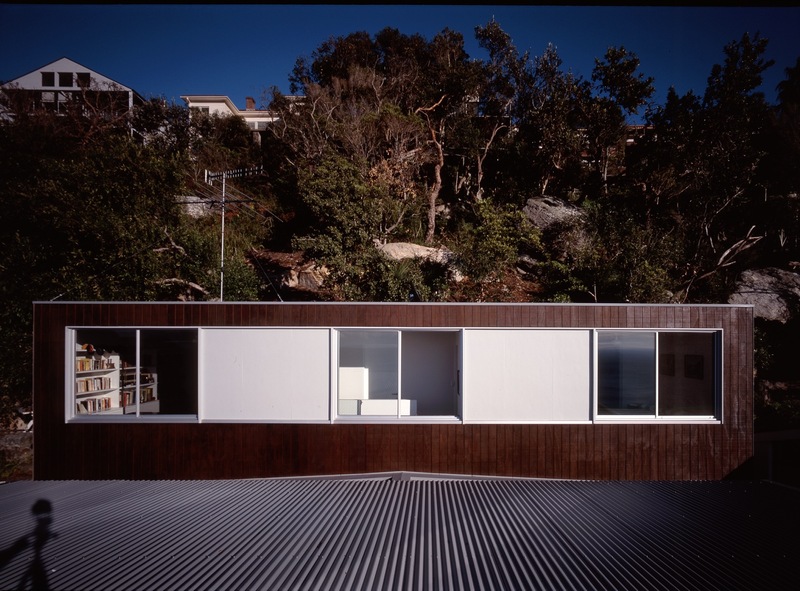 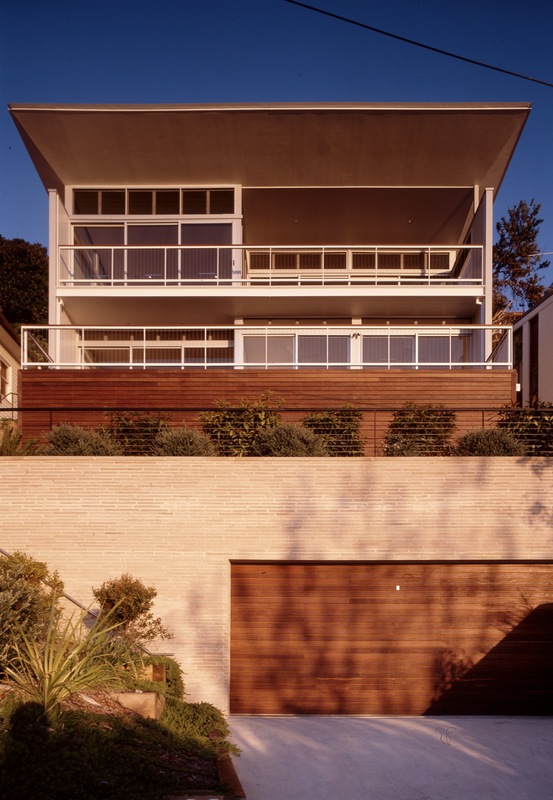 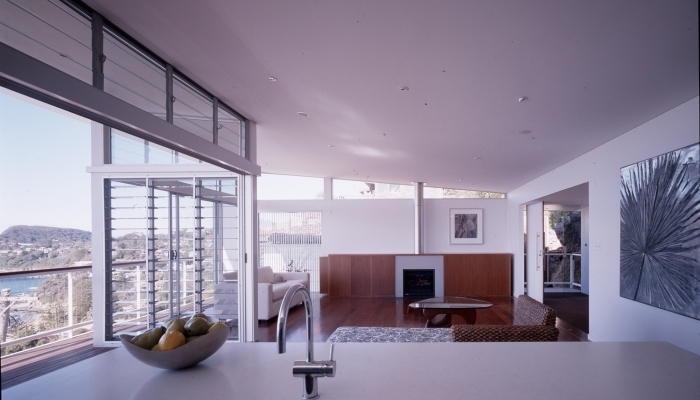 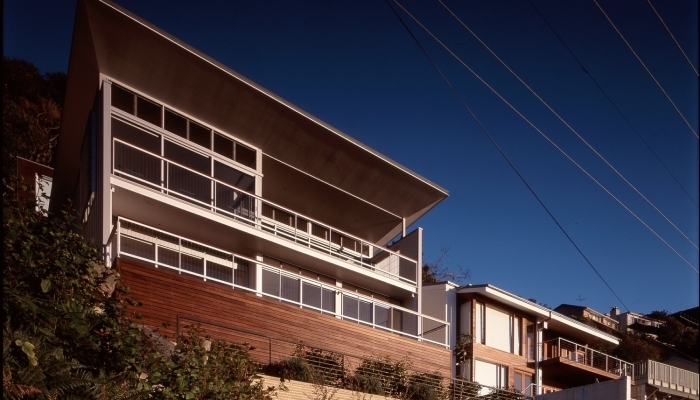 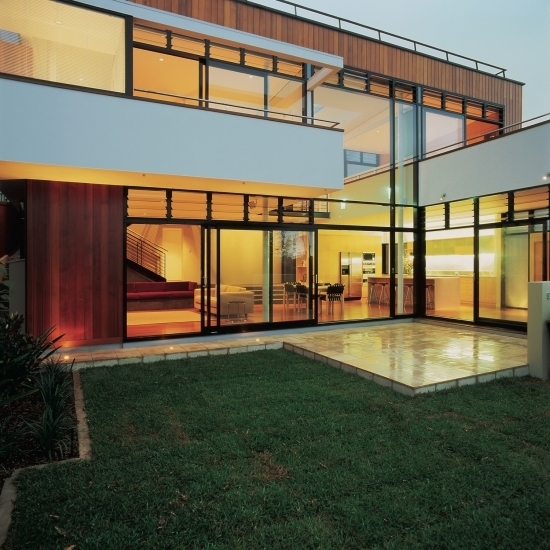 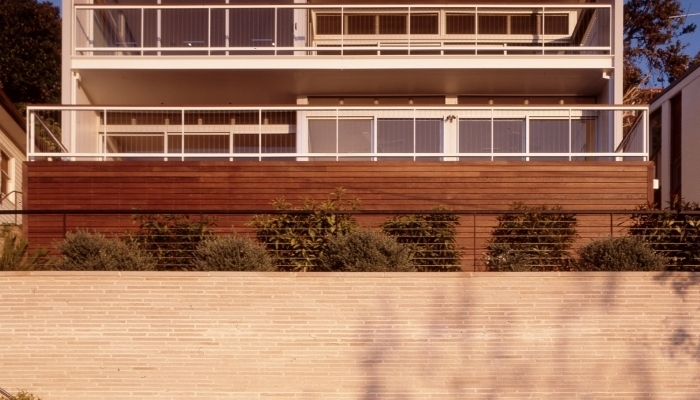 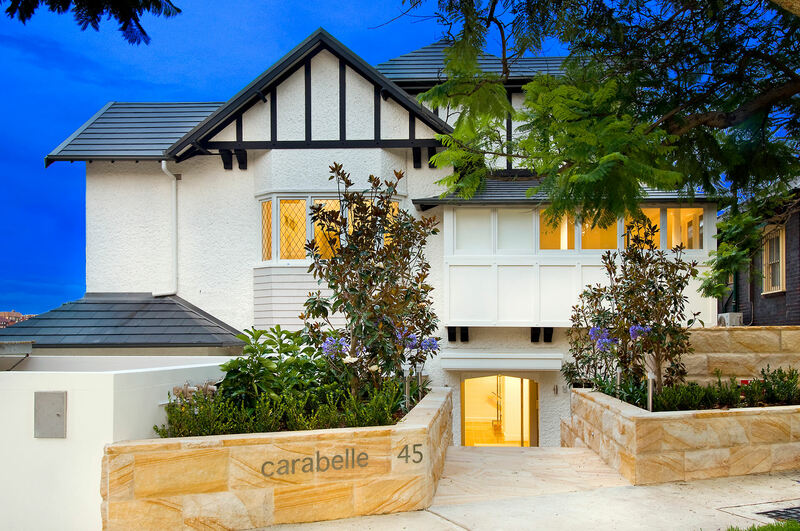 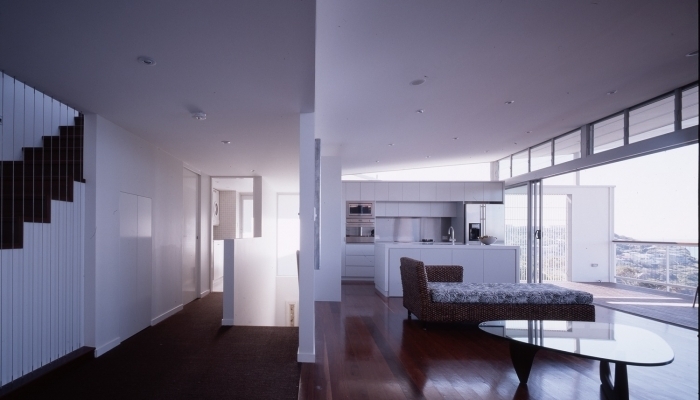 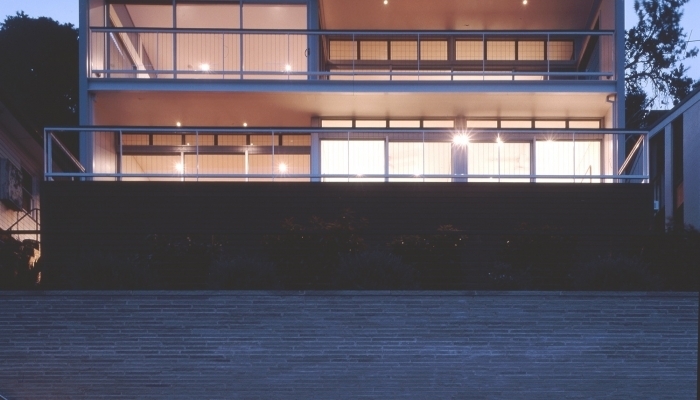 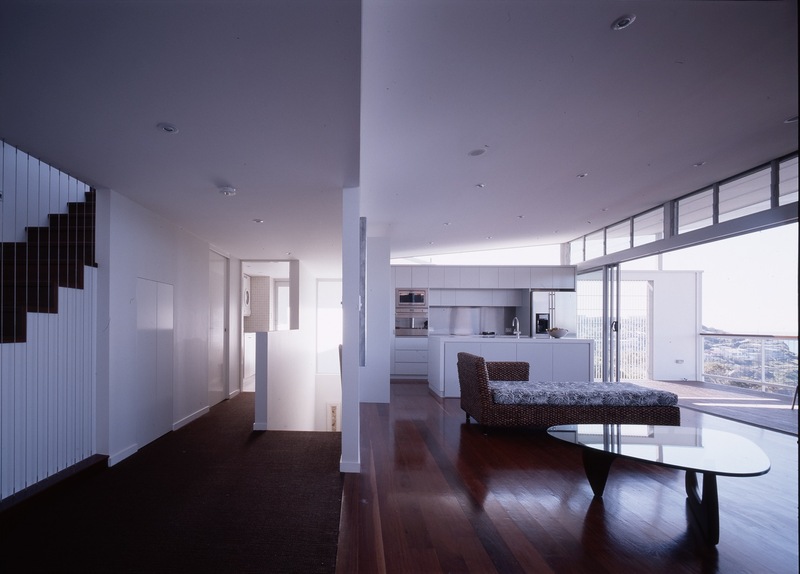 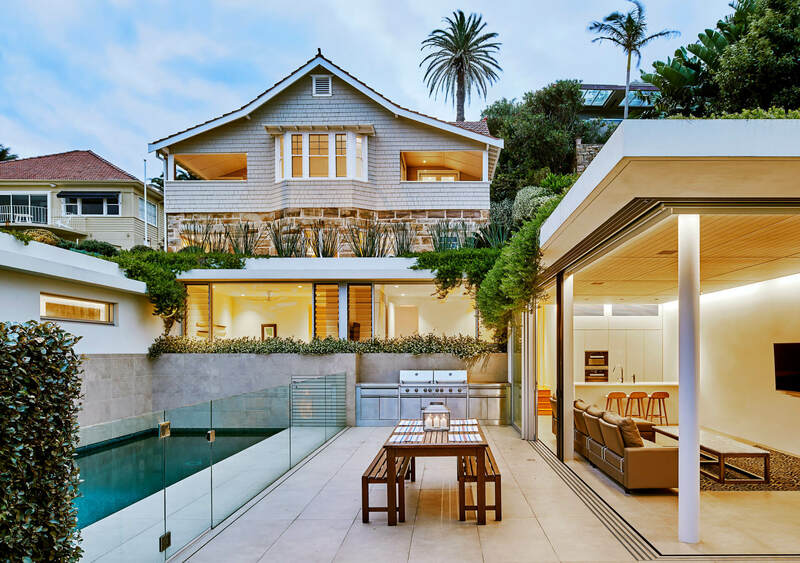 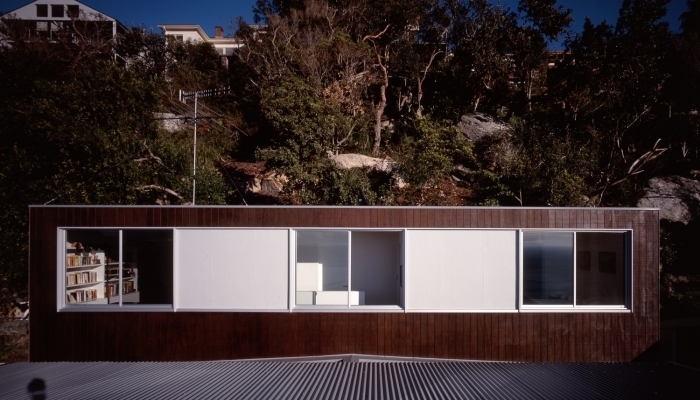 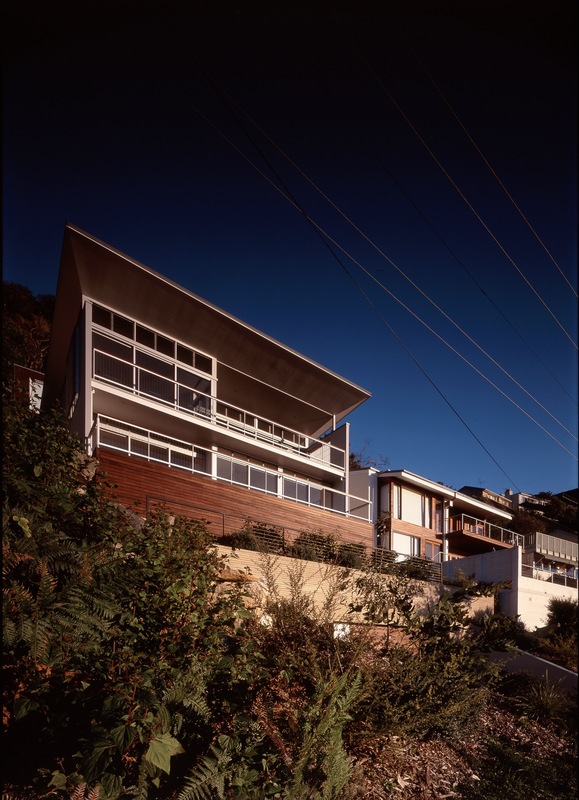 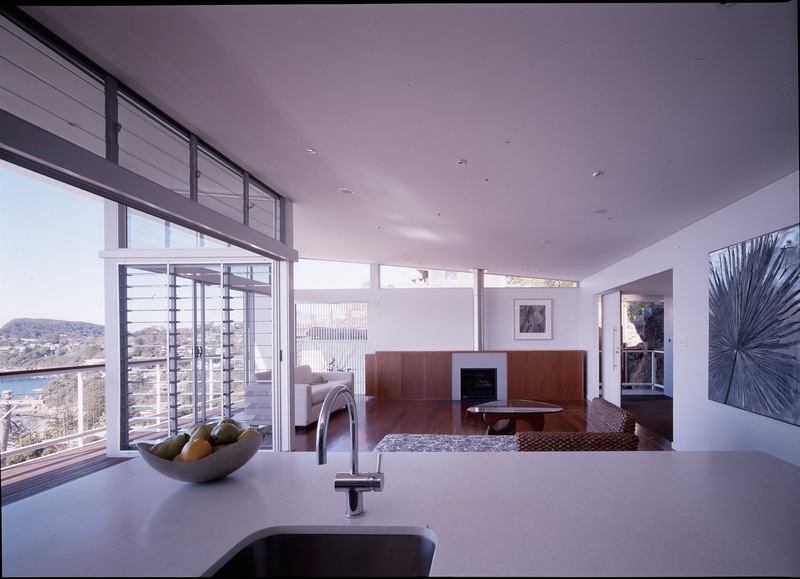 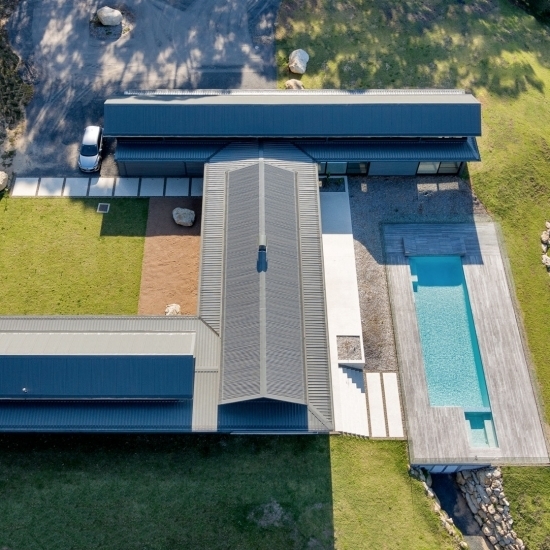 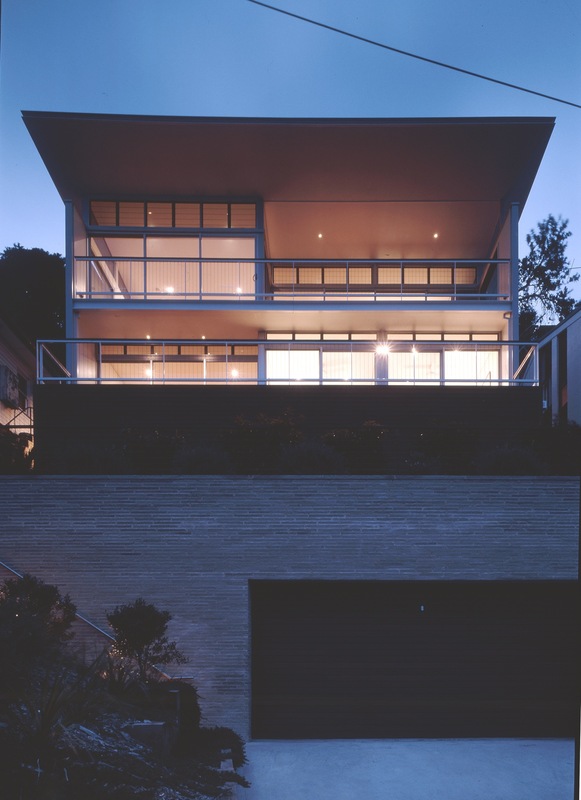 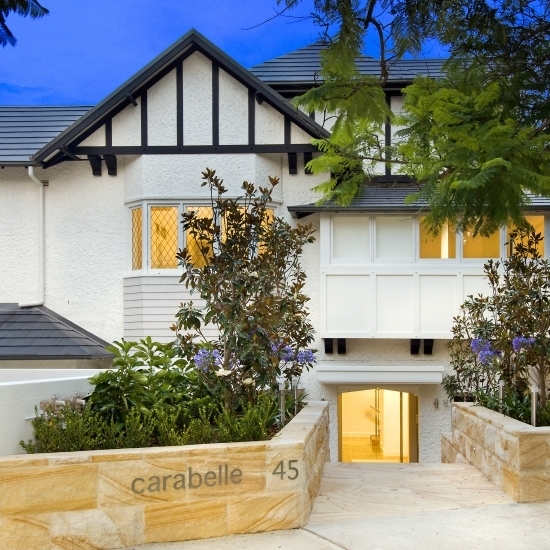 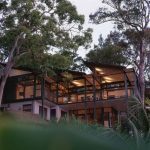 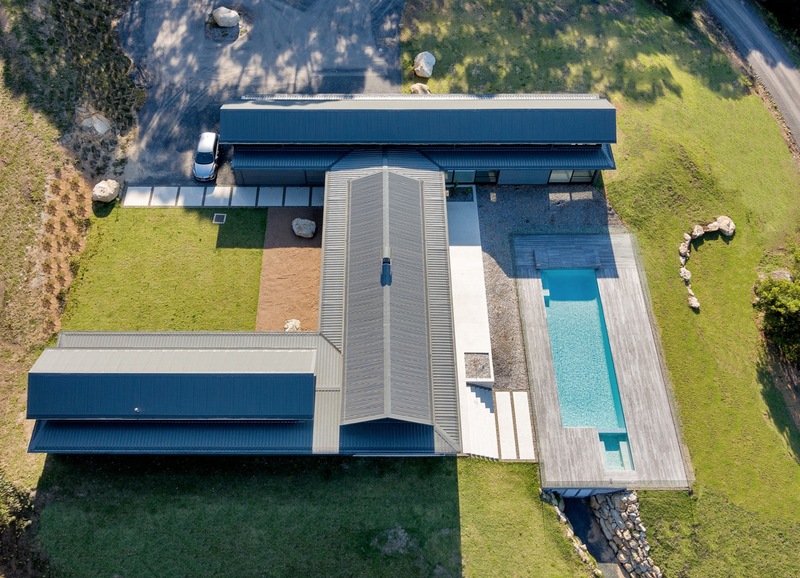 This new beach house has been designed over three levels on a very steep block. 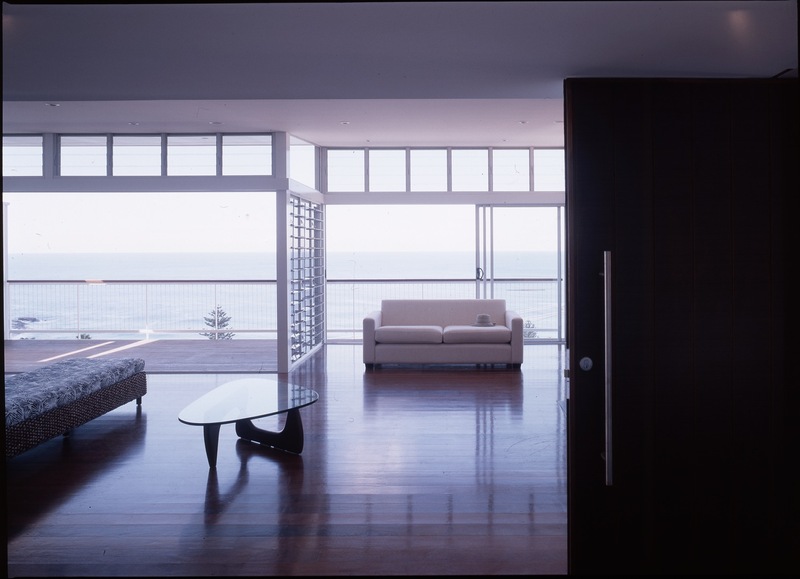 The main living spaces are united under a single roof plane that lifts up to the view, capturing the eastern sun and sea breezes. 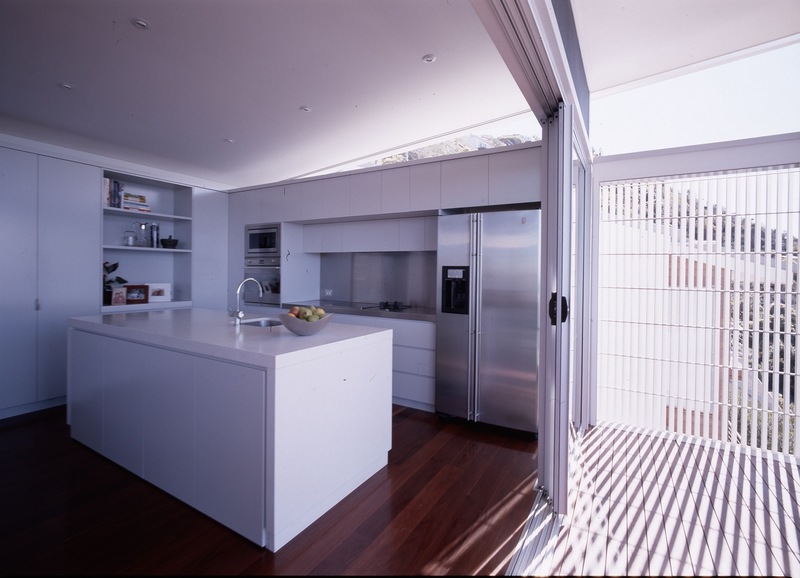 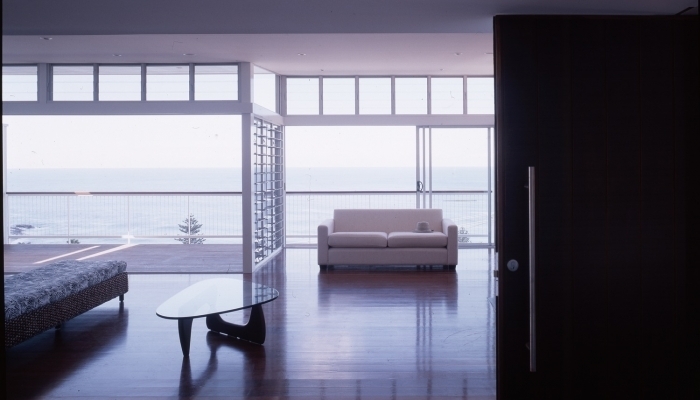 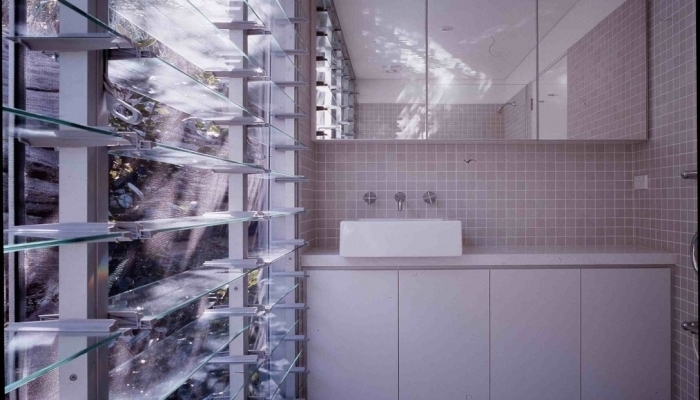 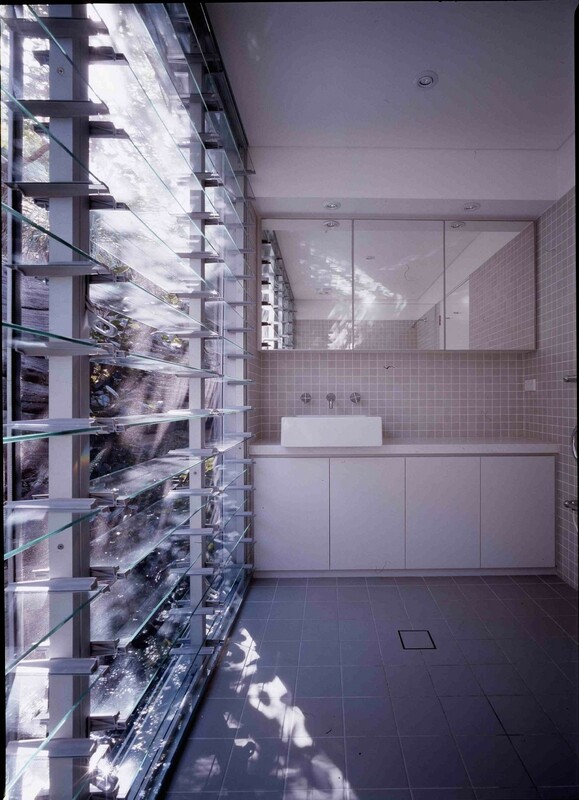 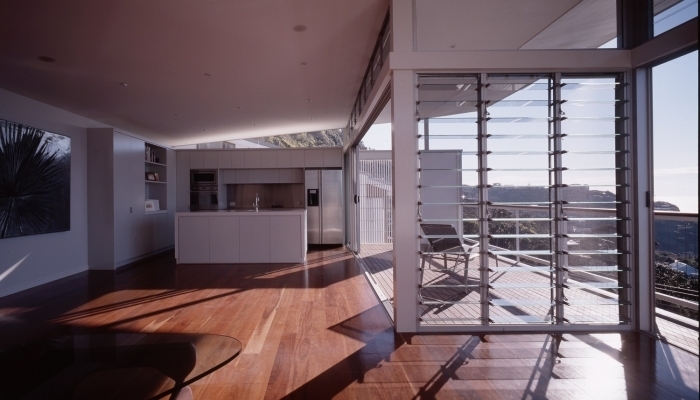 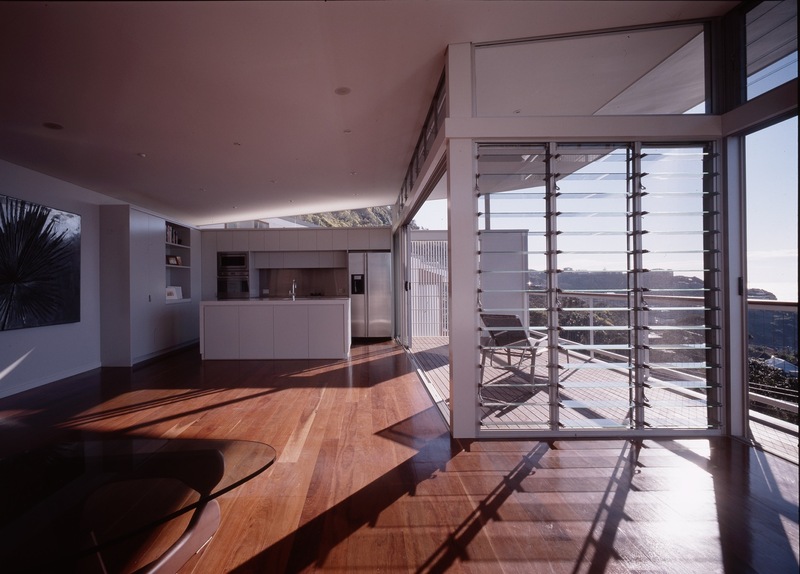 Louvred screens to the side walls maintain privacy from the neighbouring houses, and direct the view to the ocean and beach beyond.